Adjunct Faculty, "Problem-Solving in Mixed Use Real Estate Development"
The faculty and leadership of the Real Property Development program is among the most respected in legal education. In addition to full-time faculty, prominent authorities and practitioners teach the graduate curriculum as adjunct professors. The adjunct faculty includes scholars in their respective fields, as well as deans and former deans, partners and managing partners of prominent law firms, and general counsels of major real estate companies from across the U.S.
Antonio Prado is an experienced developer and banker with over three decades of active involvement in every facet of real estate development. His expertise includes financing and development of numerous residential and commercial projects, and considerable involvement in the non-profit sector, especially in the area of affordable housing. Howard Shapiro is an experienced developer and President of Howard N. Shapiro & Company. Previously, he was Director and Senior Vice-President of Pacific International Equities, a luxury condominium and high-rise developer. His condominium development experience entails some 7000 units with a market value in excess of one billion dollars. Brian S. Adler is a partner at Bilzin Sumberg, in the firm’s Land Development & Government Relations Group. He represents developers and contractors in the permitting, planning, zoning, comprehensive planning and development processes for large, complex, development projects. Virginia S. Albrecht is Special Counsel at Hunton & Williams where she practices environmental law and administrative law. Ms. Albrecht’s practice focuses on the Clean Water Act wetlands program, the Endangered Species Act, the National Environmental Policy Act, and other federal regulatory programs that affect the use of land. Ross J. Altman is a member of Clark Hill PLC Chicago office where he leads the Firm's Construction Law practice. Mr. Altman focuses his practice on matters pertaining to design, engineering, procurement, and construction. Suzanne M. Amaducci-Adams is a partner at Bilzin Sumberg, Real Estate Practice Group Leader, and chair of the firm’s Hospitality Group. She is a recognized expert in the areas of marina and hotel acquisition, finance and development. Ralph B. Bekkevold is a shareholder at Greenberg Traurig Miami office, and has wide-ranging experience in real estate, finance, banking, workout and general business transactions. Ralph's background includes years of experience as a partner at a major international law firm and as an officer at two-money center banking institutions. Michael M. Berger is one of California's preeminent appellate lawyers and is co-chair of Manatt, Phelps & Phillips, LLP’s Appellate Practice Group. One of the top land use and condemnation lawyers in the United States, Berger's appellate cases have involved planning, zoning, business litigation, defective construction, insurance, and environmental law. Peter S. Britell is a Partner of Venable LLP and has served as lead real estate and construction counsel in some of the preeminent New York City real estate transactions and construction projects. He is the author of Green Buildings: Law, Contract, and Regulations. Joni Armstrong Coffey is a partner at Akerman LLP Miami office, and has extensive experience in a full range of local government law issues, with particular legal expertise in land use law, and focuses her practice on helping clients achieve optimal results from governmental approval processes. Anthony De Yurre practices at Bilzin Sumberg in both the Land Development & Government Relations Group and the International Group. His practice focuses on the representation of real estate developers and investors with an emphasis on land use, zoning, and governmental relations. Shahrzad Emami serves as Affordable Housing Project Director at Legal Services of Greater Miami, Inc. in the Community Economic Development Practice Group. Jason S. Gibson is the Associate General Counsel at Regency Centers Equity One. Regency is the preeminent national owner, operator and developer of neighborhood and community shopping centers, which are primarily anchored by productive grocers and located in affluent and infill trade areas in the country’s most attractive metro areas. John Halula is a Partner at the Miami office of Holland & Knight and chairs its Real Estate Practice Group. He has extensive experience in all aspects of real estate transactions, as well as institutional and consumer finance. Joseph D Harbaugh is Dean Emeritus and Professor of Law at Nova Southeastern University Law Center. He is a recognized expert in legal negotiation, and co-author of a standard clinical text, Interviewing, Counseling, and Negotiating: Skills for Effective Representation. 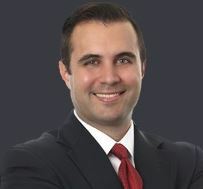 Joseph Hernandez is a partner and chair of Weiss, Serota, Helfman, Cole, & Bierman, P.L.’s Real Estate Practice Group. As a prior banker, Mr. Hernandez is experienced in advising clients in connection with raising capital for real estate projects in the United States, Latin America and the Caribbean. Lauren M. Hunt is Partner at Alvarez & Diaz-Silveira LLP, a Miami-based corporate boutique law firm. Ms. Hunt previously practiced at White & Case LLP, a global law firm, where she represented corporate clients and financial institutions in a variety of real estate and financing transactions. Amir Isaiah is Partner at Genovese Joblove & Battista, P.A. where he practices in the areas of receivership, fiduciary services, and litigation consulting. Prior to joining Genovese, Isaiah served as the director of receivership and fiduciary services at Kaufman, Rossin, & Co., one of Florida’s largest accounting and consulting firms. Michael T. Lynott is a Shareholder at Greenberg Traurig, LLP where he specializes in commercial lending and leasing sales, among other areas. He previously served as Assistant General Counsel with Ryder System, the leading provider of commercial transportation, logistics, and supply chain management solutions. Betsy McCoy is General Counsel and Vice President of The Related Group, one of Florida's largest residential developers and one of the country’s largest real estate conglomerates. Ms. McCoy previously served as litigation counsel to financial institutions, real estate developers, and contractors. David Mesnekoff is a Florida Bar board certified real estate attorney and an expert in title insurance matters. As a Legal Education Representative for Attorneys Title Insurance Fund, he prepared continuing legal education seminars and delivered over 1500 presentations. Thomas F. Nealon III is President and CEO of the American Liver Foundation, and is Vice Chairman and Director of Legal Affairs for LNR Partners, LLC. LNR Partners, LLC is the largest special servicer in the CMBS industry. Mr. Nealon joined LNR’s predecessor in 1992. Since then Mr. Nealon has been actively involved and instrumental in helping LNR achieve its position as the leading Special Servicer in the CMBS industry. Mr. Nealon is co-author of Mortgage and Asset Backed Securities Litigation Handbook. Howard E. Nelson is a Partner at Bilzin Sumberg, and Chair of the Environmental Practice Group. He represents clients throughout all phases of the development process from site location through permitting and construction. Marshall R. Pasternack is a Partner at Bilzin Sumberg with a highly sophisticated corporate & securities practice, and is greatly respected for his work in real estate limited partnerships, joint ventures and similar transactions. He has been ranked by Chambers USA every year since 2010 in the Corporate/M&A & Private Equity categories. Patricia Redmond is a Business Restructuring Shareholder of Stearns, Weaver, Miller, Weissler, Alhadeff & Sitterson, P.A. in Miami. She practices Insolvency and Restructuring in the Miami office. Franchesca Rhodis is owner and principal of Franchesca Rhodis PA, and owns Developers Choice Title Services, LLC, a firm that specializes in end-buyer closings for large condominium projects. Vivian N. Rodriguez is a Senior Attorney with the Office of Chief Counsel for the Internal Revenue Service in Miami, where she represents the Commissioner of Internal Revenue in cases involving individuals, trusts, estates, and business entities. Steven Siegfried is a Shareholder at Siegfried, Rivera, Hyman, Lerner, De La Torre, Mars & Sobel, P.A. He is an expert in construction law and consults on all phases of the construction process. William P. Sklar is a member of the real estate and finance practice group at Carlton Fields. Mr. Sklar primarily represents developers and lenders by assisting them with planning, drafting, and the development of residential, commercial, and complex mixed-use condominiums and planned developments. Mr. Sklar is Director of the University of Miami’s Boyer Institute on Condominium and Cluster Development. Jack Winston, a principal at Goodkin Consulting, is an architect and urban planner with significant experience in the real estate development field and is a nationally recognized real estate expert. Mr. Winston has held senior management positions with the largest homebuilders in the world, and owned one of the largest homebuilding companies in the Miami area. Career Development - Miami Law’s career office assists with access to Career Advisors, all of whom are attorneys, job postings, on-campus interviewing, national job fairs and more.